Faith comes to us as a gift from God through the gathered and sent community. Shaping the faith of children is the privilege of parents, family, sponsors, and the congregation; built on the promises made at baptism. Our goal is a multi-dimensional faith enabling us to encounter God in each other and in all of life. At ECLC we assist families in their child's development with a variety of opportunities to see themselves as part of the faith story and know themselves as the church. Differentiated faith-shaping experiences address the well-being of the whole child; being the church in all its forms; within a comprehensive scope and sequence, and the rich framework of the rhythms and seasons of the church calendar. ECLC's emphasis on scripture and prayer shape its life and mission. Children encounter the living word of God through biblical story, the life and ministry of Jesus, and theological understandings. ECLC embraces our youngest children and their families. We encourage families with young children to participate in worship, to build relationships with other families, and to deepen their faith through adult interactions and cross-generational activities. Children gather most Sunday mornings during the school year as vital members of the church in all its forms, sharing in ECLC's mission to bear witness to God's YES for the world. 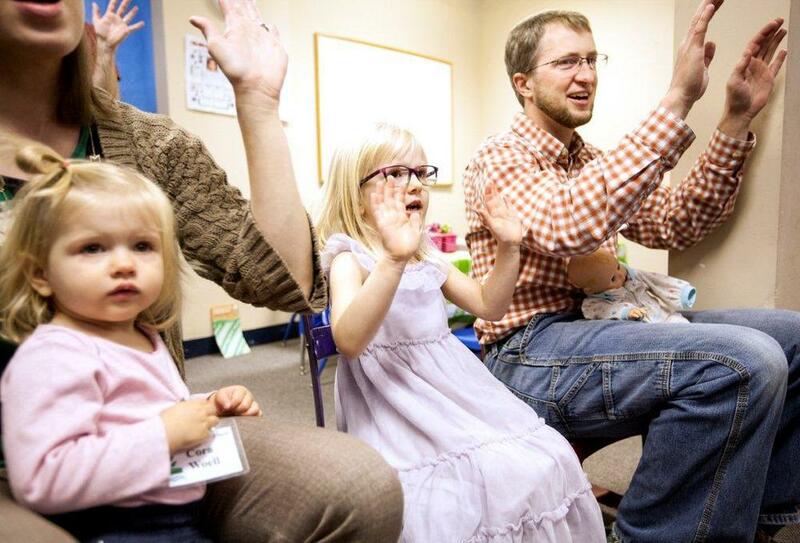 Families worship with their children either before or after Sunday School. ECLC believes worshiping with children is like having children at the dinner table. They are here because children are part of the family, not because their manners are perfect. ECLC is intentional about the ages, stages, and transitions of life, blessing children in worship and encouraging every generation in the promises made at baptism. Families are busy. Making faith a priority takes planning. ECLC creates calendars and curates resources, to assist families with competing schedules or multiple children.